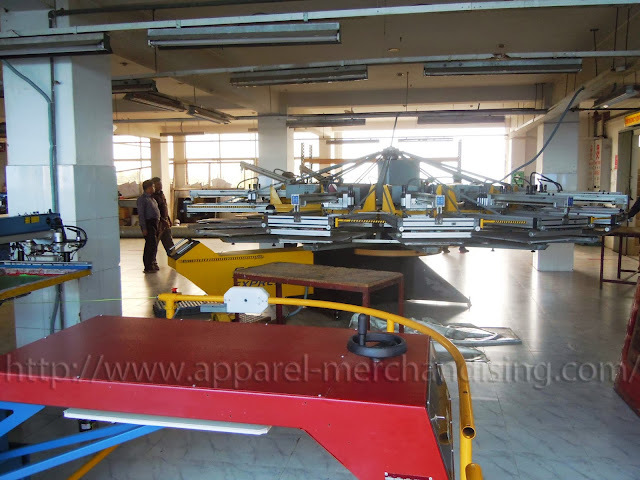 Hope most of the people, who are related with textile sector are well aware about the Auto machine print. 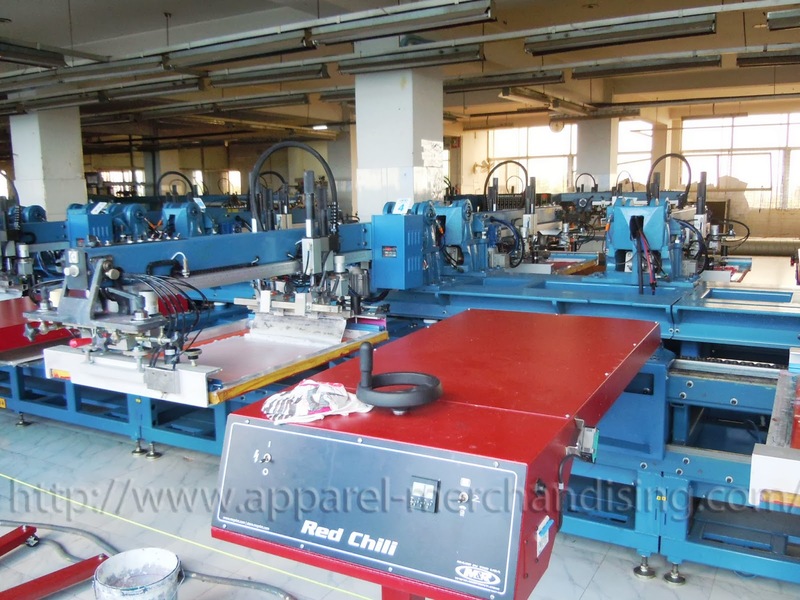 Here, I'm going to share with all of you some picture and video of Auto machine print. 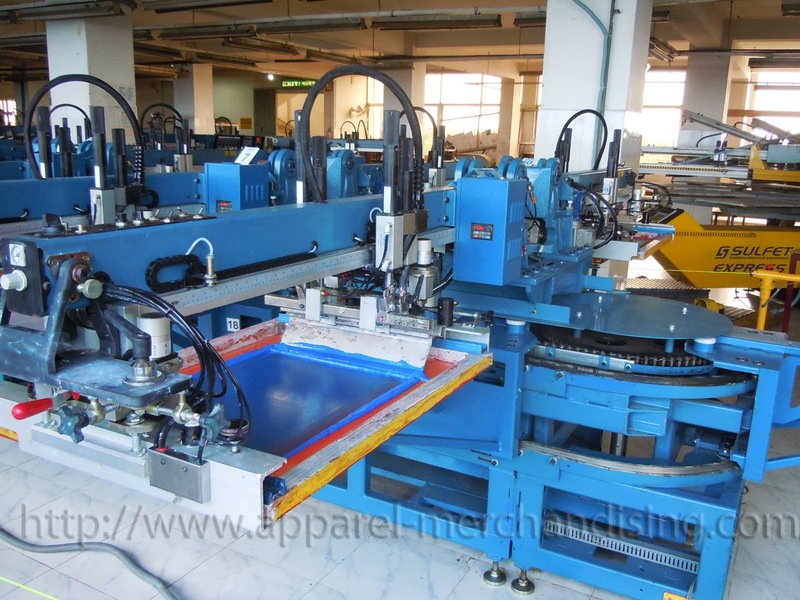 Auto machine print are almost same as normal screen print. The screen making process, The color making and mixing process, The drying process all are same. Only the difference is, in normal screen print scrapper are pulled by human and the screen print the scrapper are pulled by machine. Though all the working process are almost same but the out put is quit different. 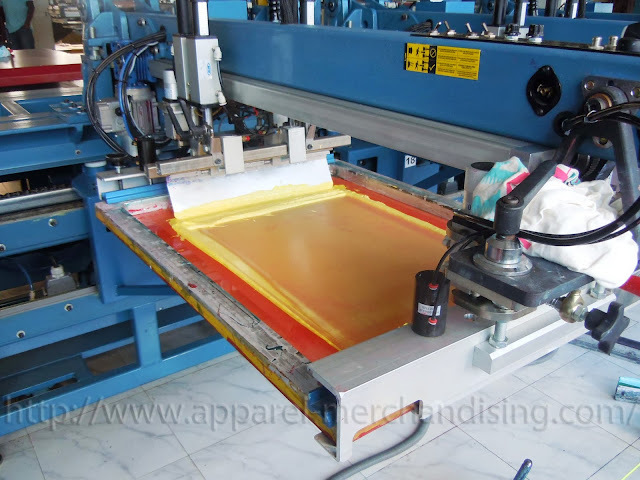 The auto machine print quality are much better then normal table screen print. 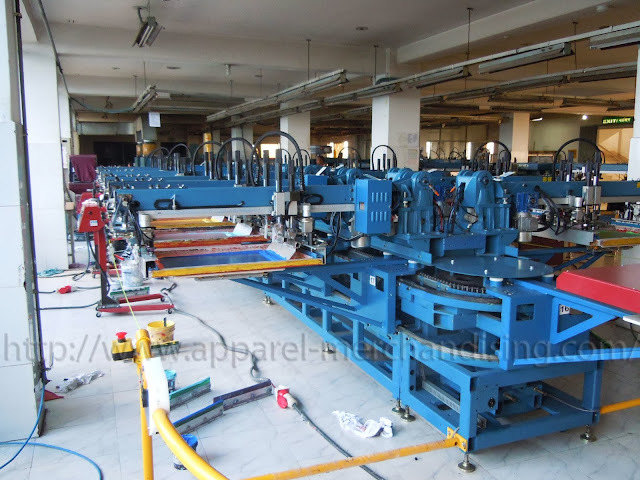 The main reason behind of this good quality is the accurate screen adjustment and color distribution.